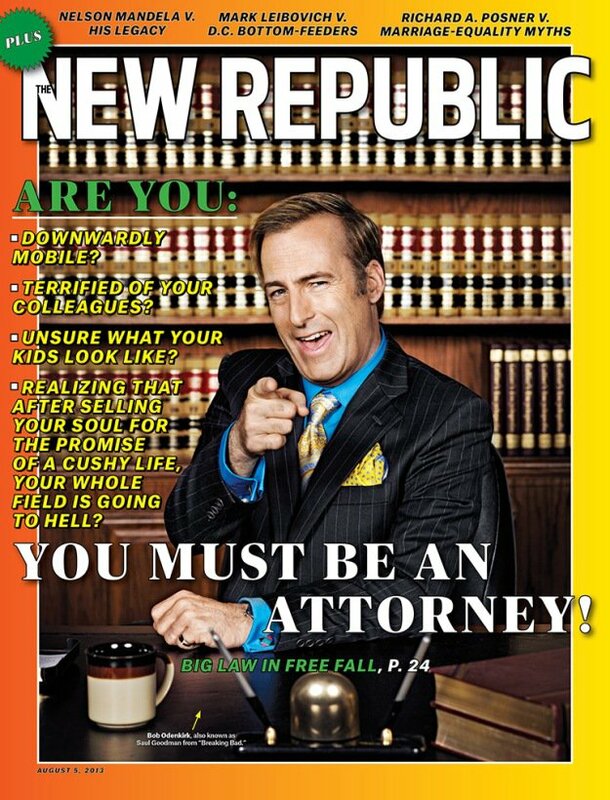 Actor Bob Odenkirk graces the cover of the latest issue of The New Republic—not for an article about "Breaking Bad," the AMC show in which he plays sleazy lawyer Saul Goodman, but to accompany Noam Scheiber's story, "The Last Days of Big Law." Earlier this month, he spoke to The New Republic's Laura Bennett about his dream Saul Goodman spinoff. And in the video below, he makes the smoothest pitch for an iPad app that you'll ever see.